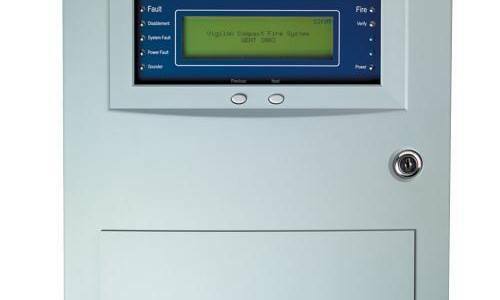 Analogue Addressable (1-6 Loop) | Adams Fire Tech (Pvt) Ltd.
Gent by Honeywell’s Vigilon system is the most comprehensive life safety system available in the market today. 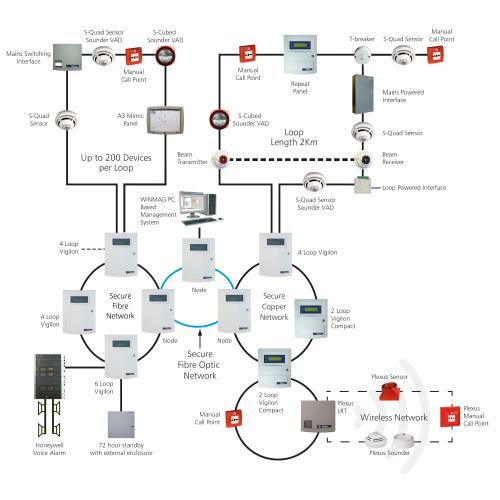 The combination of the powerful software in the control panel and the intelligent loop powered devices delivers a flexible, easy to use system for all types of buildings. 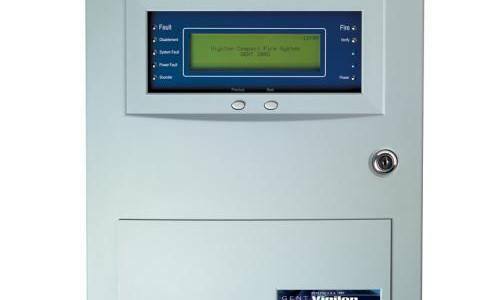 The Vigilon system offers a complete range of control panels that can be installed as standalone panels from 1 to 6 loops or as part of multi-panel networks. A system that can meet the needs of a building today and in the future. 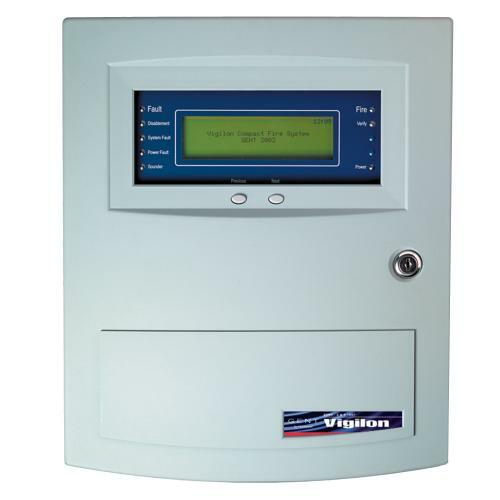 Vigilon control panels are available in 4 loop and 6 loop versions. The 4 loop Vigilon has a self contained power supply and battery standby for at least 24 hours and the 6 loop with external batteries will support a system for 72hrs in the event of a mains power failure. 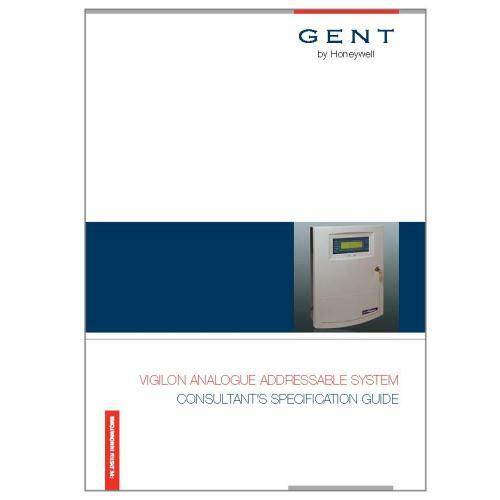 Certified to EN54 parts 2 and 4 Vigilon may be supplied with or without an on-board printer and has a full Qwerty style keyboard allowing full control and management of the system from the panel if required. 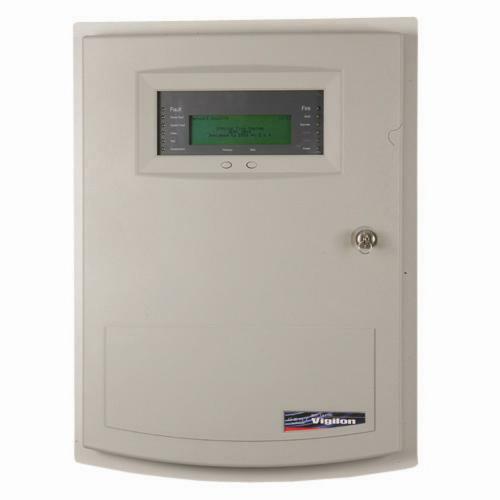 Large multi-panel networks accommodating up to 200 devices on each loop and with multipanel networks Vigilon provides a versatile solution for protecting buildings of all sizes. 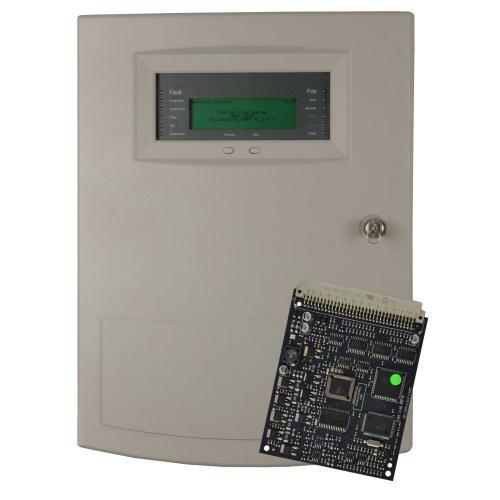 A one or two loop panel accommodating up to 200 devices per loop, with the capability of networking with other Compact or Vigilon Panels. 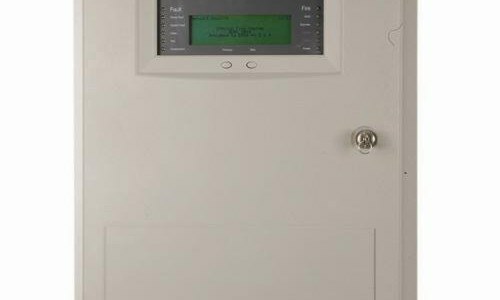 Multiple panel networks can be programmed seamlessly as one system, allowing for flexible design and total system management. 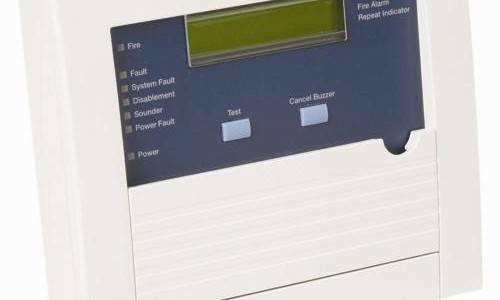 Gent by Honeywell’s all new Loop Card provides EN54-23 compliance, a powerful diagnostic tool and increased max alarm load. 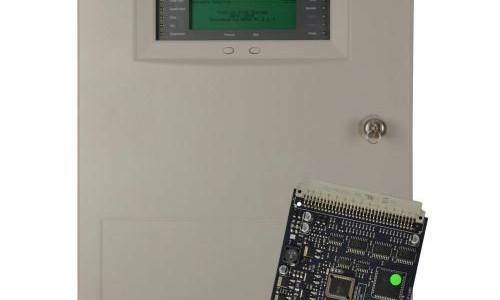 A repeat panel repeats all information provided to the main control panel and provides mains control functions. 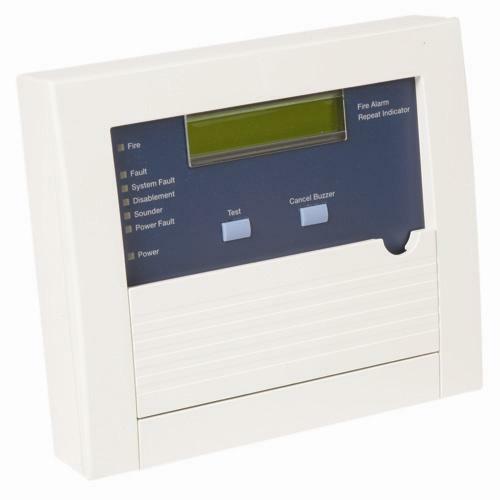 The repeat panel is connected directly to the loop but require a mains supply to run its battery backed power supply. 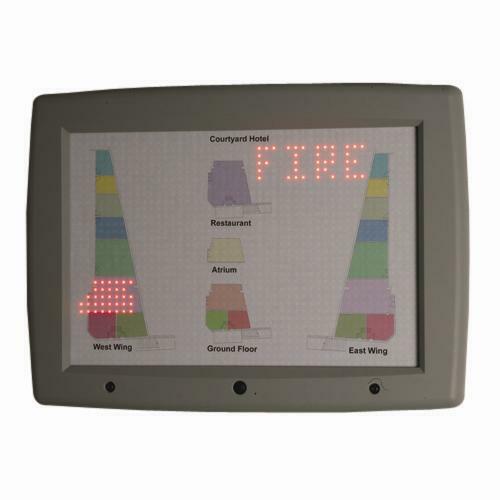 The Vigilon LCD Repeat Indicator displays Fire, Fault and Disablement information on a 2 x 40 character LCD. 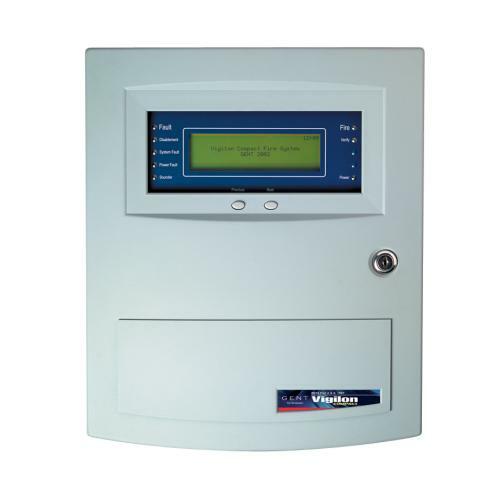 A maximum of 4 Repeat Panels can be connected to a Vigilon panel via an RS485 Communication Port. 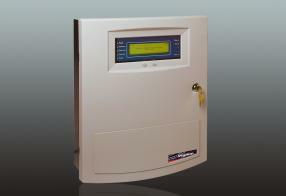 The A3 mimic panel provides a pictorial representation of a building’s layout. 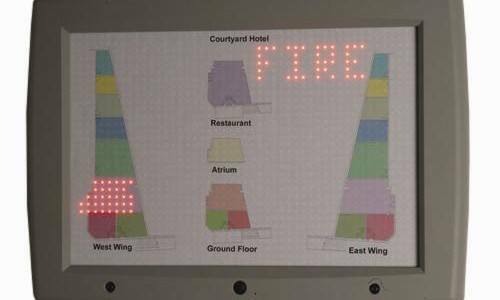 This gives a rapid, visual indication of the location of any fire incident. 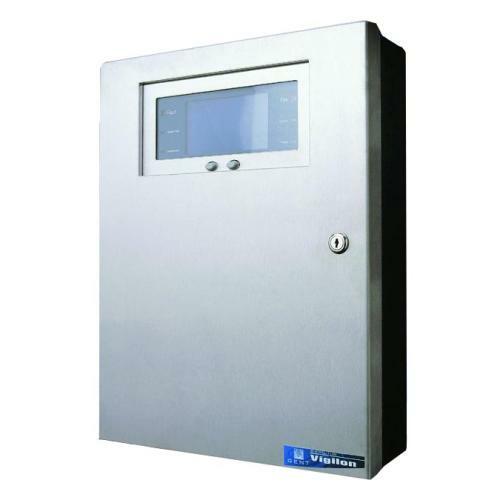 It can also be used to provide indication of fault and supervisory events in the system. This one panel can be used as a Zonal Mimic or can hold a pictorial overlay to provide a customised view. 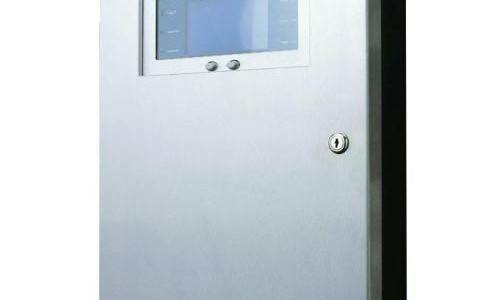 The Stainless Steel Door option provides a high end finish to the Vigilon and Vigilon Compact systems. Its clean lines and superior finish ensures the panel complements buildings demanding a highly aesthetic look. 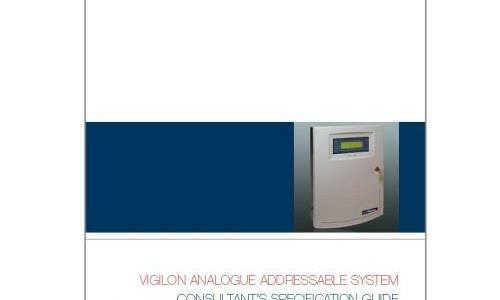 The Vigilon Specification Guide includes the latest technical data, product images, product website links and part numbers.